Whether it’s for a business meeting, an outing with friends and family or a marriage, you will be pleased with L’Auberge du Mont-Lanaudière. Whether it’s for a business meeting, an outing with friends and family or a marriage, you will be pleased with L’Auberge du Mont-Lanaudière. 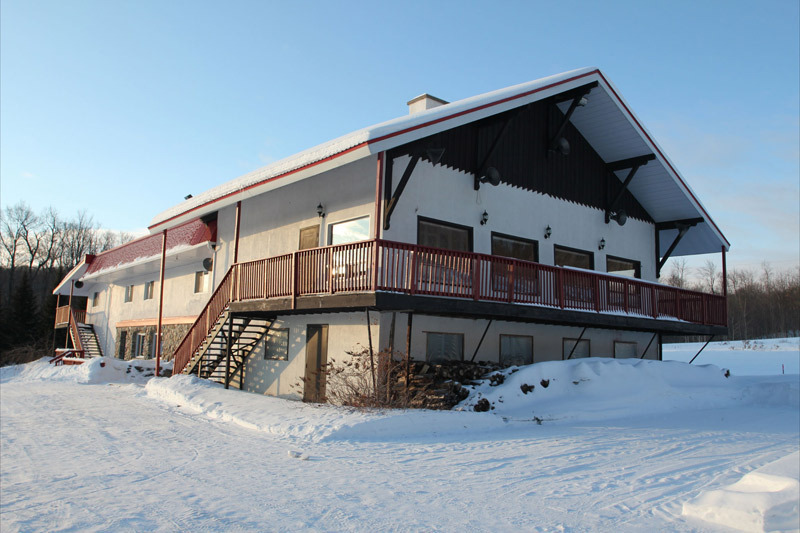 If you are looking for a place to get together with family or friends, the various facilities of the Inn are sure to satisfy your needs.You have access to billiard, ping-pong, Mississippi and foosball tables. There’s a dance floor with a 1200 watt sound system and an Xbox 360 console with Kinect. There are also flat screen televisions in every room. 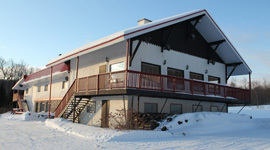 The Inn is located 2 minutes from the public beach of Maskinongé Lake, where you can enjoy the sun and activities offered in the summer, and ice fishing in winter.Fans of snowshoeing, cross country skiing, mountain biking or snowmobiling will enjoy the hundreds of miles of trails that make St. Gabriel the snowmobiling capital of the country. Are you looking for a place that can accommodate a lot of people for a wedding or a business meeting? Our dining room can comfortably seat 125 people for your celebration.It is for these reasons that L’Auberge du Mont-Lanaudière will become a fixture for you, when it comes to group accommodations.